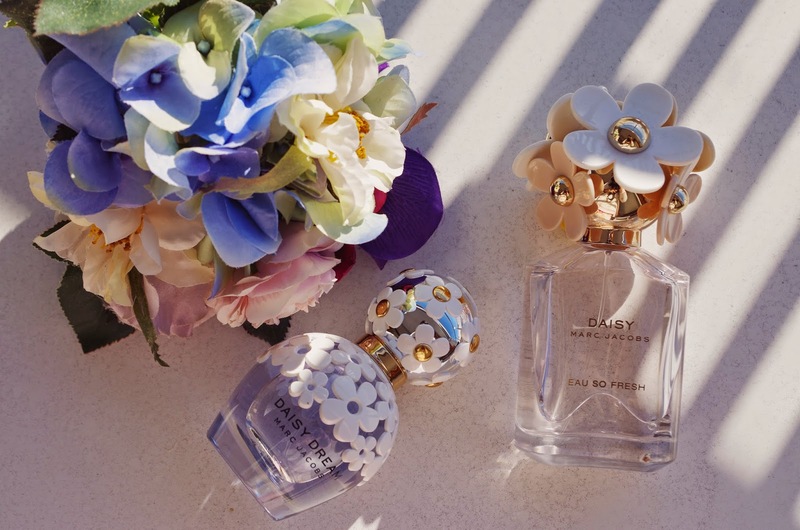 Today I want to introduce my favorite fragrance collection from Marc Jacobs! I believe that even though you may have never used any Marc Jacob Fragrances, most of you have at least heard of "Daisy". 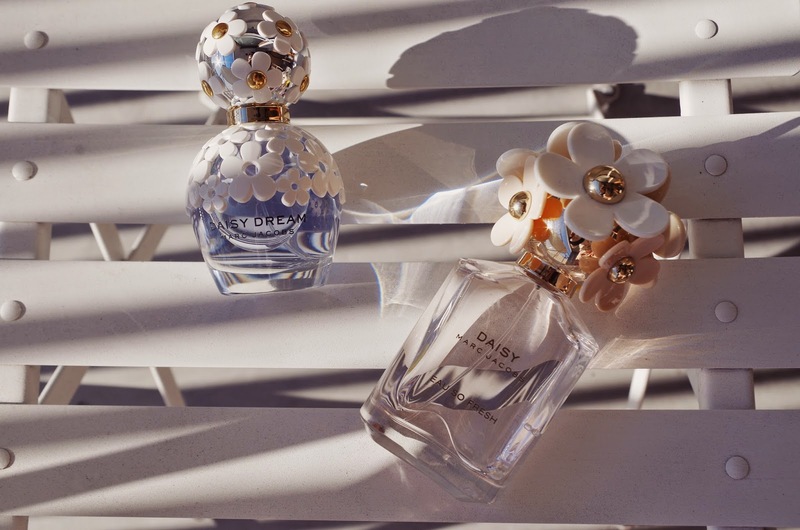 Marc Jacobs himself named the fragrance Daisy after a character from the novel The Great Gatsby. Apparently Daisy from The Great Gatsby has been always Marc's muse, he even named his dog Daisy! The pink fragrance on the right in the picture is Daisy Eau So Fresh, which is an extension in the original Daisy Fragrance line. The scent is airy, fruity, and floral, much like a very juicy fruit! The feeling that I get from this fragrance is free spirited, vintage, and whimsical which is perfect for the spring! 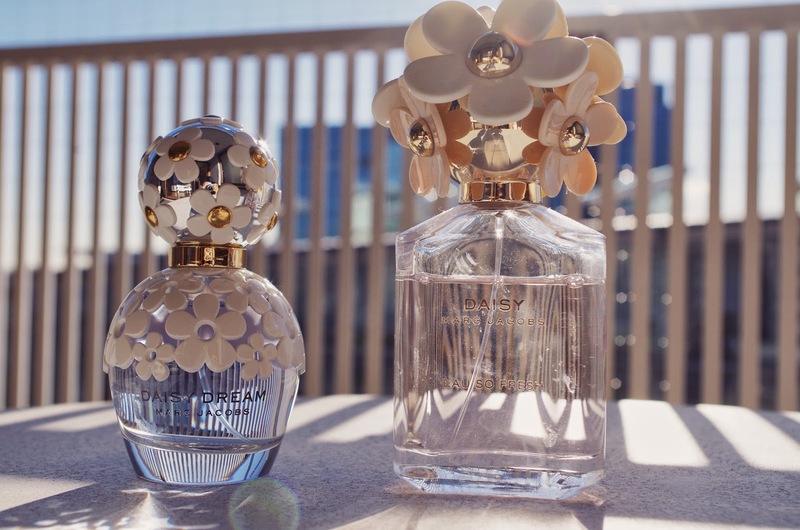 The blue fragrance on the left is the newest fragrance called Daisy Dream which was released this year. Compared to Eau So Fresh, Daisy Dream is more elegant and feminine. The mix of addictive juicy fruits such as pear, black berries and irresistible blue wisteria create the sensation of being in a pure, free dream. Please enjoy the world of Marc Jacobs Fragrances which was filmed by Sophia Coppola! I really like the atmosphere of the short file, as well as the music by CHVRCHES! These fragrances sound great! I have been wanting to try dairy eau so fresh for a while now!